The Brewers made probably the biggest splash this off season when they landed budding Zack Greinke who was dominant in Kansas City. It's fair too say he could be even better in Milwaukee. Not only did they bring in Greinke, they also brought in Shaun Marcum who was a consistent middle of the rotation guy in Toronto. These two immediately team up with Yovani Gollardo to for an interesting but effective Big Three. The offense isn't too bad either. Prince Fielder may be a smart trading chip for Milwaukee since prospect Mat Gamel is breathing down his neck, but he still can hit. Ryan Braun was just decent in left last year and must take dramatic steps to be a NL MVP canidate. Carlos Gomez doesn't get on base much but when he does it's amazing to watch. Also, Takashi Saito, a high quality reliever, was brought in to finally make the Brewers bullpen respecutful. Cincinnati rose to the ranks of the elite last season thanks to Joey Votto and a whole lot of pitching. The thing is both return. Votto does indeed at first after he broke out (.324 average, 37 home runs, 113 RBI's) in 2010. He's helped in the infield by second basemen Brandon Phillips, 3B Scott Rolen and newly acquired shortstop Edgar Renteria. The outfield has talent too with Drew Stubbs and Jay Bruce. The pitching surprised me the most. No-names Mike Leake(8 wins), Travis Wood(3.51 ERA) and Johnny Cueto(12 wins) had great years. And, the Reds get Edinson Volquez fully healthy along with flame throwing Aroldis Chapman who spent most of his time in the minors last year. We all know it's going to be a distraction. The Cardinals and all-star Albert Pujols failed to come to an agreement meaning one more year until he can become a free agent. 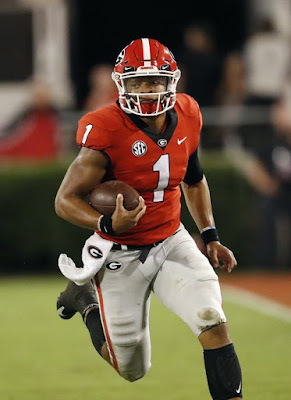 After every game media and fans and just about everything in between the same question: Are you going to come back? And, if not, where are you going to go? 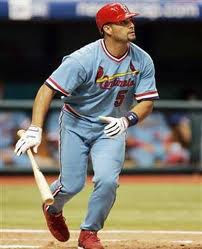 So, the Cardinals signed two productive free agents in the fantastic fielder Nick Punto and the-hoping-to-get-his-career-back-on-track Lance Berkman hoping to take the pressure off Pujols. Likely not. Colby Rasmus and Jon Jay are good outfielders and the infield has Pujols, Punto and others. Behind the plate, Yadier Molina is one of the best. Unfortunately it just might not be enough. Sorry Cubs fans. You know that small curse hanging over your head the last century? It's going to continue. The Cubs have a new manager in Mike Quade but the same old problem: not being able to put talent into wins. They do have Alfonso Soriano, who is still a star and they signed slugger Carlos Pena to first base. 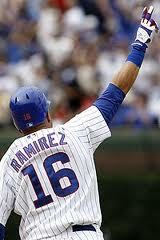 Aramis Ramirez has struggled the last few years and needs to pick himself in order for a successful year. The staff has never been great. Carlos Zambrano looks to be nearing the end of his career and their number two looks to be Ryan Dempster(15-12). Matt Garza could start his career back up again in Chicago as a possible number three. The bullpen is led by Carlos Marmol. 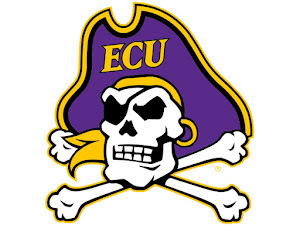 You know what would be great for the Pirates? Winning 80 games after years and years of hanging in or near the cellar. They did make a few moves including starter Kevin Correia who did go 10-10 and could be a top of the rotation guy. 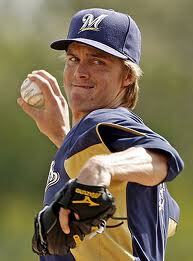 They also brought in Scott Olsen who never fulfilled what he could have been but could still be a 10 game winner. They also acquired first basemen Lyle Overbay from Toronto who still hit 20 homers last year. The old roster was led by Andrew McCutchen, a speedy player who can hit for power too. Garrett Jones wouldn't be a starter on any average team but he has amazing power. Pittsburgh also has a lot of young players that haven't quite developed including LF Jose Tabata and 3B Pedro Alvarez. Yes, Houston, might have more talent than Pittsburgh but they did lose the face of the franchise in Roy Oswalt. J.A. Happ came over in the deal but he won't be the number one and still needs time to develope. The outfield has power-hitter Carlos Lee and bright Hunter Pence in left. Michael Bourn is a speedy option at the top of the lineup. In the infield Bill Hall and Clint Barmes hope to restart their dwindling careers. With no more Oswalt the staff went from decent to just plain bad. Brett Myers is an experienced veteran who can still win games but he isn't getting any younger. Wandy Rodriguez could start at Opening Day but he shouldn't be the one option. Happ and Ryan Rowland-Smith are other starters. Brandon Lyon is the lone star in the bullpen.